Ira Shor is Professor of English at the College of Staten Island and Professor of Rhetoric and Composition at The Graduate Center, CUNY. 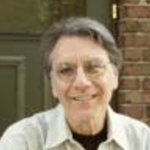 He is a leading theorist and practitioner in critical literacy and pedagogy and democratic classroom spaces. Shor is the author of numerous books, including: Critical Teaching and Everyday Life (1980), Empowering Education: Critical Teaching for Social Change (1992), When Students Have Power: Negotiating Authority in a Critical Pedagogy (1996), and a 1987 “talking book” with Paulo Freire at The Highlander Research Center, A Pedagogy of Liberation: Dialogues on Transforming Education. In our conversation on March 13, 2017 Shor offered his definition of critical pedagogy and his critique of mainstream practices in higher education, along with insights into risk-taking and creating just and democratic spaces in the classroom.